It seems that several duplicates of the "SMB doesn't work" variety appear to come from a missing GNOME-VFS UCP in our vanilla builds. Of course, ideally we'd have a gio/gvfs backend - but apparently we can't easily do that. Disabled it on the -4-0 branch. What is the thinking there ? > will pass us a FUSE / file-path rather then an smb:// style URI. "this" being the "Disable gnome-vfs for now" commit mentioned in comment 0? I've pushed these fixes to master; we should use file URLs now instead. Thanks for the reports. fdo#64311 - .desktop files: use %U for URLs only if we have gvfs or gio. fdo#64311 - don't encourage the fpicker to give us URLs we can't handle. fdo#64311 - fix pre-processor conditionals & don't bail-out without gnome-vfs. With the third fix I pushed I think we can re-enable gnome-vfs for the -4-0 branch which will provide the real fix. fdo#64311 - fix namespace issue / compile failure. fdo#64311 - re-enable gnome-vfs for linux. User testing report: my context = Lubuntu 12.10, to a Windows network drive. Path to the file does not exist." "WARNING: gnome-keyring:: couldn't connect to: /run/user/reimer/keyring-viGdJN/pkcs11: No such file or directory"
Had hoped this would work seamlessly. :( Not fixed for me. Sadly (if you see what I mean), AbiWord has no problem at all saving a file to that location. > no problem at all saving a file to that location. Do you have a file libucpvfs1.so or somesuch in your install's program/ directory ? (what does ls *vfs* in there say ?). Do you have gnome-vfs installed ? Just tested myself with beta2, worked like a charm. > directory ? (what does ls *vfs* in there say ?). > Do you have gnome-vfs installed ? I have libgnomevfs2-0 installed (v. 1:2.24.4-1ubuntu3). But I did *not* get yesterday's gnome-keyring warning. FWIW. Presumably there is some 12.04 -> 12.10 change in Ubuntu that horks this. Reading symbols from /home/reimer/Downloads/LibO41Beta/LibreOfficeDev_4.1.0.0.beta2_Linux_x86_deb/DEBS/install/opt/libreofficedev4.1/program/soffice.bin...(no debugging symbols found)...done. warning: File "/home/reimer/Downloads/LibO41Beta/LibreOfficeDev_4.1.0.0.beta2_Linux_x86_deb/DEBS/install/opt/libreofficedev4.1/program/libpython3.3m.so-gdb.py" auto-loading has been declined by your `auto-load safe-path' set to "$debugdir:$datadir/auto-load". Can you install the glib debuginfo package as well. (or just 'c') after hitting a g_logv breakpoint. Clearly this was for some other random console warning - wow gtk+ is dirty / noisy on your system - this looks like some unrelated theme issue. Please answer y or [n]. 853	/build/buildd/glib2.0-2.34.1/./glib/gmessages.c: No such file or directory. If I then try to move it, or do anything else, the new "screens" will simply overwrite that "frame", except for the titlebar. I can do nothing more. This time, I did the "bt" at this point, and did your "c" thing, etc. Then I killed LibO, and did bt ... c ... once more for good measure. And this is dump I'm now appending. As I say, I hope we're making progress. If I've got it wrong again ... well, hopefully you'll be able to get me the next step! Inferior 1 [process 7445] will be killed. Quitting: Couldn't get registers: No such process. Of course it is - it's trapped into the debugger - which has stopped the app :-) until you type 'continue' in gdb - nothing will be re-rendered; that is completely normal and expected. > overwrite that "frame", except for the titlebar. I can do nothing more. Type 'continue' in gdb, and see what happens ;-> We need a stack-trace of the message that happens whe you use gvfs; not this random dirt at startup. So - you need to type 'c' by which I mean: c<enter> in gdb, and repeat the c / bt loop until you get to the exception which you mentioned. Please can you add your traces as file attachments rather than these huge pastes. Sorry - I should have known better (re: pastes!). So, this time: now I get the bt/c thing. ;) I got my new document created, typed in a bit of text, and tried to save to the Windows share drive. I could navigate to it just fine, typed in a filename at the prompt, clicked "save" -- and then the thing hung. (Spinner, spinning....) Unfortunately, though I had a (gdb) prompt in the terminal, it was the "empty rectangle" cursor, and it would not accept input. I waited ... then killed it. The attachment in comment #30 is (I think, I hope), the last two backtraces before killing it. It seems we're at the crucial point: felt very stymied that I couldn't get past that hang. Hope the dump has something useful. it is benign - it just means we can't monitor the directory, so we don't ǒnnect to "changed" for it, which is fine, we continue with the file enumeration. So - no idea. Thanks for the help David - sorry it didn't result in a solution. > So - no idea. Thanks for the help David - sorry it didn't result in a solution. The slightly frustrating thing from my end is that at home, on an ancient laptop running Linux Mint 13, I can use a VPN and LibO 4.0.3.3 and this works to that same Windows network drive no problem. It seems, then, that this is more to do with something in Lubuntu (which I'm running at work) ... or something I'm doing that's squiffy. Strange, still, that AbiWord, Inkscape ... well, *every* other app works just fine in that environment, except LibO, which I need far more than those others. Like you say, will hope that the issue is dealt with at some other point in the scenario. David - AbiWord / Inkscape etc. are using a different toolkit version, and almost certainly gio not gvfs - and you are getting them not from a random download from a long-suffering ISV (Linux is a -total- rats nest of a platform to build for), but from your Distro vendor. 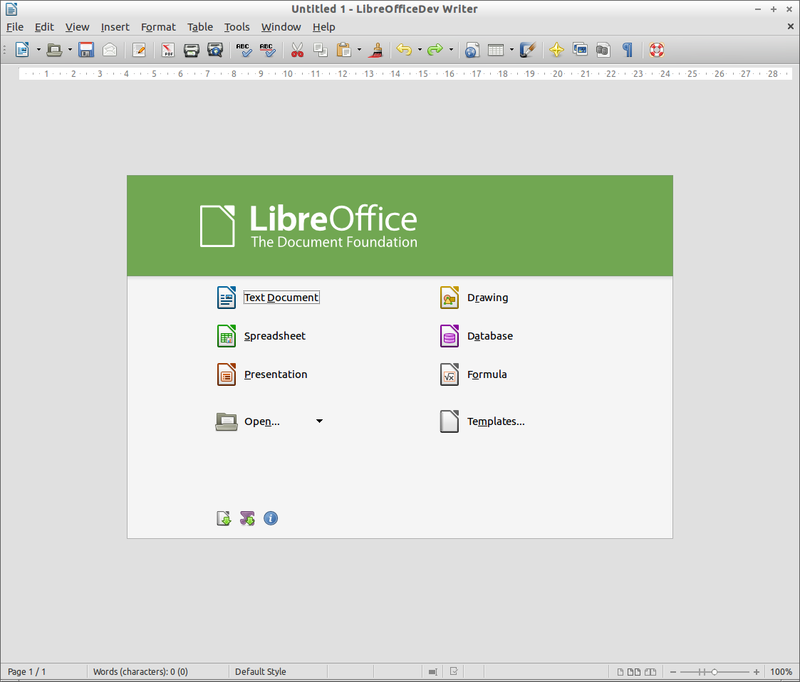 If you get LibreOffice from the PPA / your distro vendor - you should not have this problem. I have some problems with Samba-shared folder ( see https://bugs.documentfoundation.org/show_bug.cgi?id=89632 ). The SMB/CIFS server is Ubuntu 12.04.5, shared folder is created with nautilus-share. I can connect to this share with full read-write access from my local network. I placed OpenDocument file ('test.odt') on it. If I connect to this share from client computer (GNU/Linux or Windows) I get error 'Document in Use' message from LibreOffice. I tested several versions of LibO with various access methods. My results are summarized in Google Docs table ( http://goo.gl/jY9Ubj ). If SMB/CIFS server is Windows I get no errors or warnings. Could you please consult me about how to debug this Samba-LibO communication?